When Judith Hannan’s eight-year-old daughter, Nadia, was diagnosed with Ewing’s sarcoma, Hannan was catapulted into what can only be called a heightened state of motherhood: “Nadia’s cancer defined my life in as exotic a way as the room I stayed in on a kibbutz in Israel when I was sixteen. It represented one of the most intensely lived periods of my life, when every moment is clear in purpose, rich in emotion, thick with love.” Motherhood Exaggerated chronicles not only the paraphernalia of Nadia’s cancer (surgeries, hospital stays, Broviac lines, infection, fever, chemo, and its accompanying side effects), but the way in which Hannan responds and defines her role against the templates of her own childhood, her own mother’s example, and even that of her grandmother. Devastating illness is multi-generational among the women of Hannan’s family—and illness was a wall between the generations rather than a connector. Hannan received only “perfunctory care” from her own mother when ill, and knew this model “would be inadequate for a child with a life-threatening illness.” The memoir unfolds into various essays investigating the forces that define Hannan’s identity as a mother and a human being: the Jewish upbringing that did not impart to her any faith, her marriage, her family history, and her connections with music and nature. Candid and honest in tone, Hannan is not self-promoting. She gives us a frank glimpse into a marriage and family in which she confesses jealousy of the sibling bonds between her children, judgment of her husband’s various idiosyncrasies and activities, the desperate desire for occasional breaks from the ever-present company she keeps with her sick daughter, and—because of her unbelief—her refusal to offer words of comfort rooted in a religious faith tradition. She lets the reader in on the ways in which she departs from the collective myth of the ideal mother while holding our attention to the space in which a child’s illness demands the very best—the highest sacrifices—and how that can be offered against the backdrop of a mother’s own anxiety, uncertainty, and complicated history. 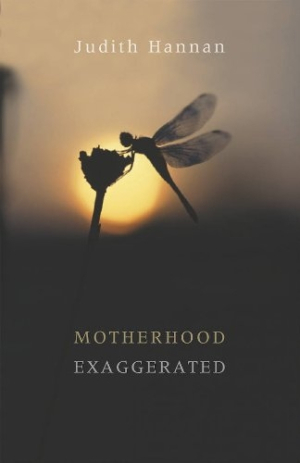 While Motherhood Exaggerated has a foot in the world of the illness memoir genre, a la Autobiography of a Face, it is also too well-rounded as a memoir in its own right—with its exploration of motherhood, Jewish faith and culture, and the curiosities of the natural world—to be so squarely labeled.